The golden age of television arguably stretched from the 1960s until approximately the early 2000s. 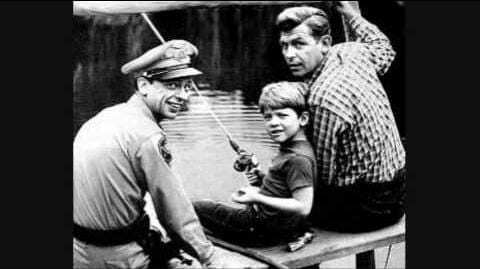 And one of those great television shows which have stood the test of time is definitely the Andy Griffith Show. With a host of such memorable characters, crazy girlfriends, and erratic hijinks, this show is has something for people of all ages, and in fact, has actors of all ages, including a young Ron “Ronny” Howard. The show was set in the 1960s, but was made to have a more nostalgic feel for the simpler, more peaceful times of the 1920s and 1930s. It shows a time in history when kids were kids, the outdoors was where most people spent their time, and when people were just generally nicer and more pleasant to each other. 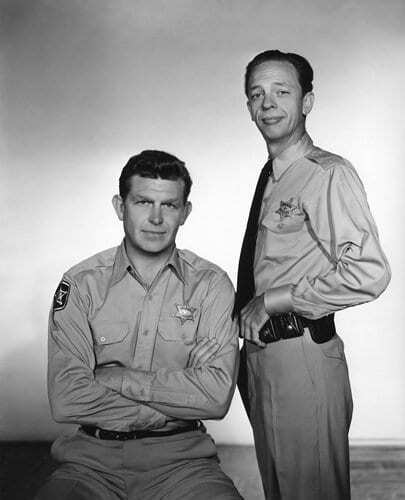 Taking place in the mountains of rural North Carolina, the show focused on two police officers, Andy Taylor who was played by Andy Griffith himself, along with Barney Fife, who was played by world famous comedian Don Knotts. A young Ron Howard played Andy Taylor’s son Opie. 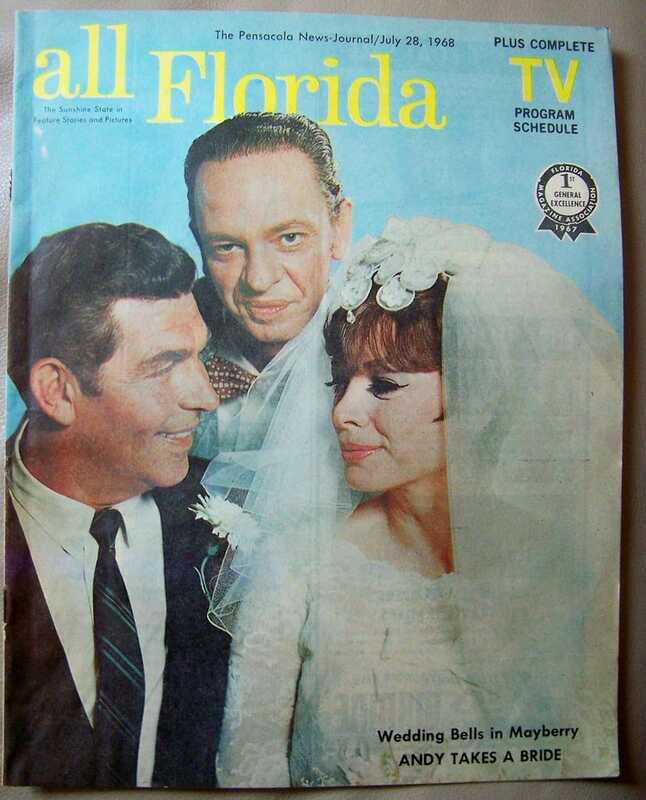 The show lasted for a decent amount of time – eight seasons in all – and was one of the highest ever ranked shows according to the Nielsen ratings. In fact, The Andy Griffith Show never sank below the number seven spot in ratings ever. The Andy Griffith Show actually started as a spinoff, and has since created two more spin offs – Gomer Pyle USMC as well as Mayberry R.F.D. 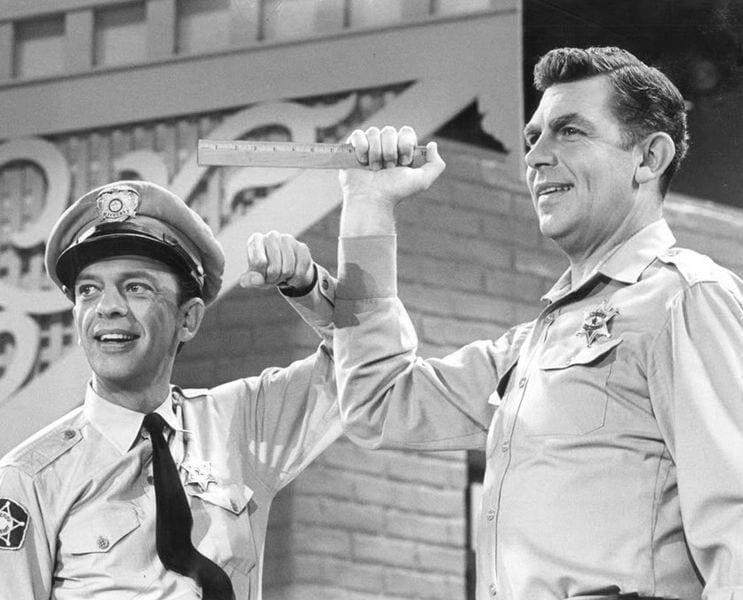 The wildly popular Andy Griffith Show was not an original series. It was actually a spinoff of another show called The Danny Thomas Show. 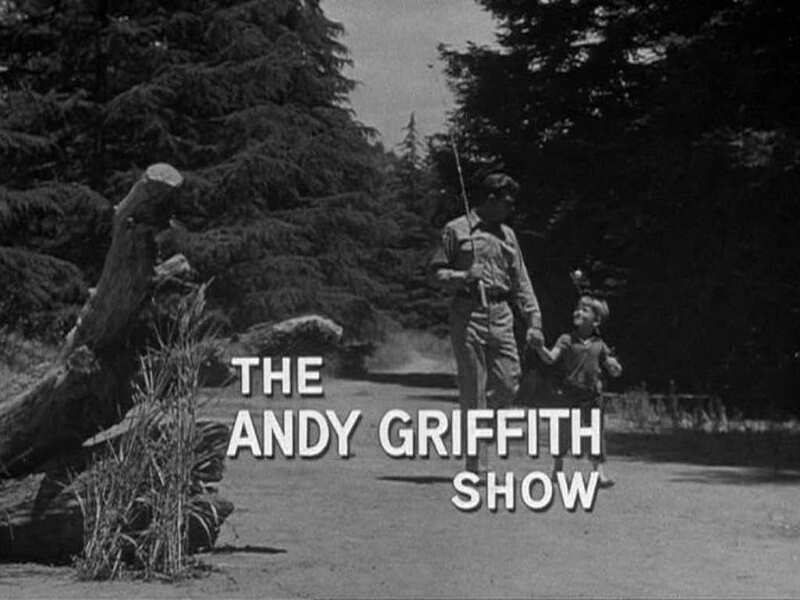 The episode with Andy Griffith in it was specifically written to be a sort of pilot episode for the show anyway, and actually introduced all of the main characters, while still in the middle of a different show. 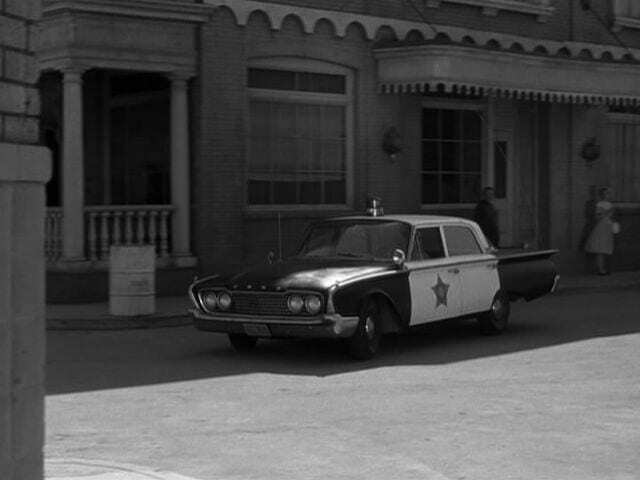 Thankfully audiences loved the policeman from Mayberry, NC and the show was greenlit. 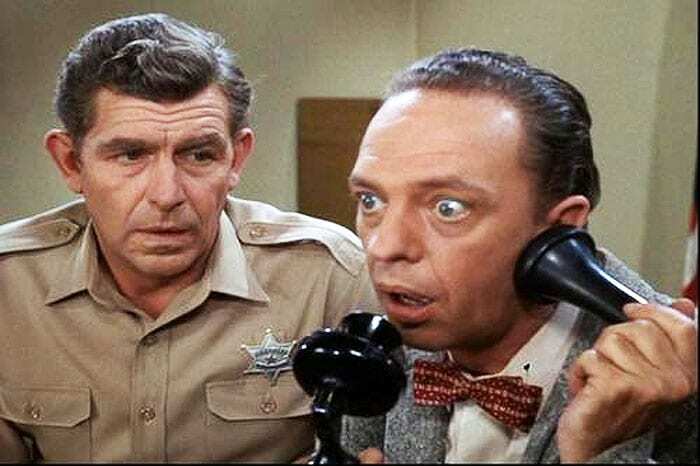 Not only are Andy Griffith and Don Knotts good friends on the show, the two became best friends in real life as well, appearing in lots of different interviews together decades after the Andy Griffith Show went off the air. This friendship may stem from their similar childhoods, having grown up poor in the south. Andy was even with Don Knotts when Don was on his deathbed and stayed with him until the very end. 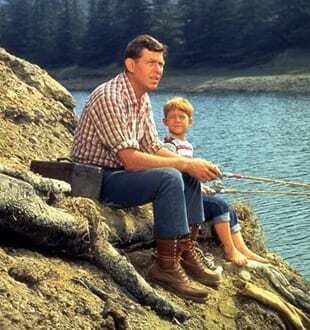 During the title sequence when Andy Griffith and his son Opie (played by a very young Ron Howard) are walking with their fishing poles, we see little Opie throwing rocks. At one point, he picks up a rock and throws it into a pond. The camera then zooms in on a splash, followed by an advertisement. It turns out that splash was not from Opie’s rock, but from a producer throwing a bigger rock which Opie was too little to throw. There are many shows which get old and stale and therefore get cancelled or stop. 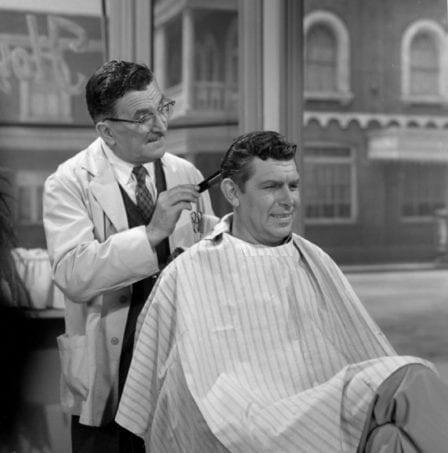 However, The Andy Griffith Show bucked this trend and halted production while it was at the top of the ratings charts. This was actually really good for the show in the long run, as reruns are still constantly shown on syndicated television networks. Other shows also ended this way, including Seinfeld as well as M*A*S*H.
No one was sure as to who would act in The Andy Griffith Show or even whether or not the show would take off. That is the reason why when Don Knotts appeared in the pilot episode without having been given a contract to sign. 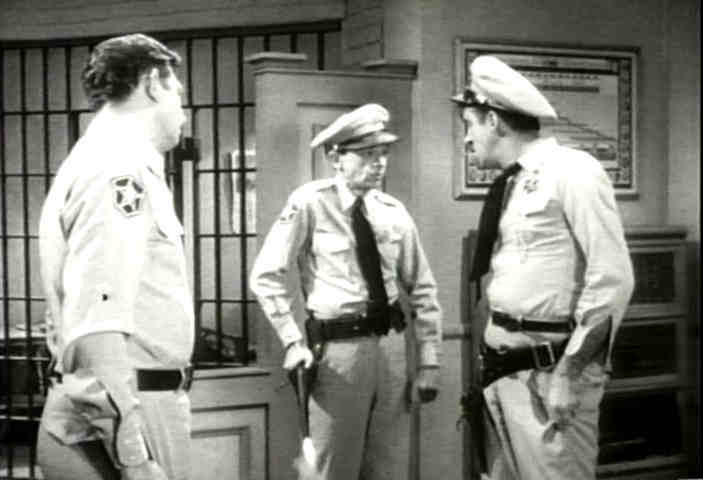 Actually, Knotts’s character Barney Fife was not even supposed to last throughout the whole series, but the directors and producers loved the way Don played the character so much that he became an integral part of the show. For a show set in rural North Carolina, it was always interesting to note that Andy and his posse always had a brand new, shiny police cars. The reason the cars always looked so nice was because the show’s studio would go out and buy a new car every time a new model came out. This led to there being several police cars in the show, many of which have been auctioned off to private collectors. Did you know that the theme song on The Andy Griffith Show actually has a name? It is called “The Fishin’ Hole,” and it is sung by a man named Everett Sloane. That’s right, the iconic song actually has words and a melody. However, the producers of the show heard that there was a whistling version, and they decided that the version with no lyrics would more than likely fit the show better. And they were completely correct. 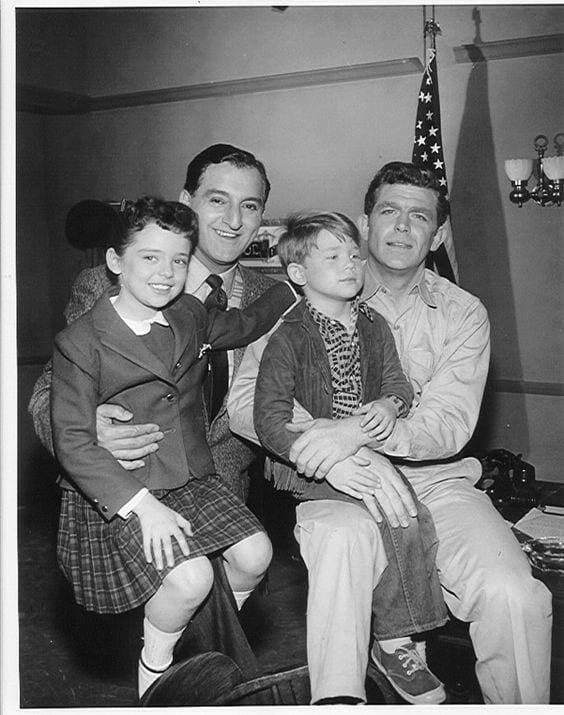 The reason that Ron “Ronny” Howard and Andy Griffith were able to reprise their roles as father and son so well is because they acted like it. They behaved and acted just as they would have acted had their real fathers and real sons been in the show. This form of method acting is one of the reasons why the Andy Griffith Show was so successful, and showed how great of an actor Ron Howard is. Imagine being able to method act at the age of six. Color television came to the United States in the late 1960s, and most of the nation’s most famous and important TV programs began to be transmitted in color. 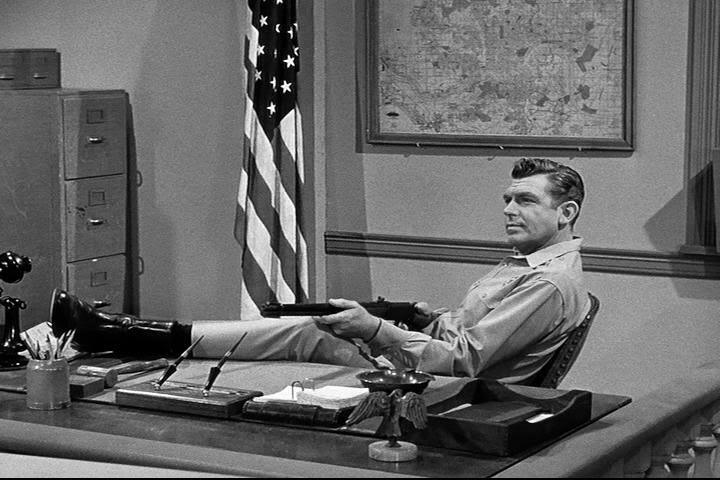 The Andy Griffith Show was no different. As it was the most popular show on television at the time, the show’s producers decided to invest in color cameras. In fact, of the show’s nearly 250 episodes, nearly 160 were in black and white, while about 90 were in color. 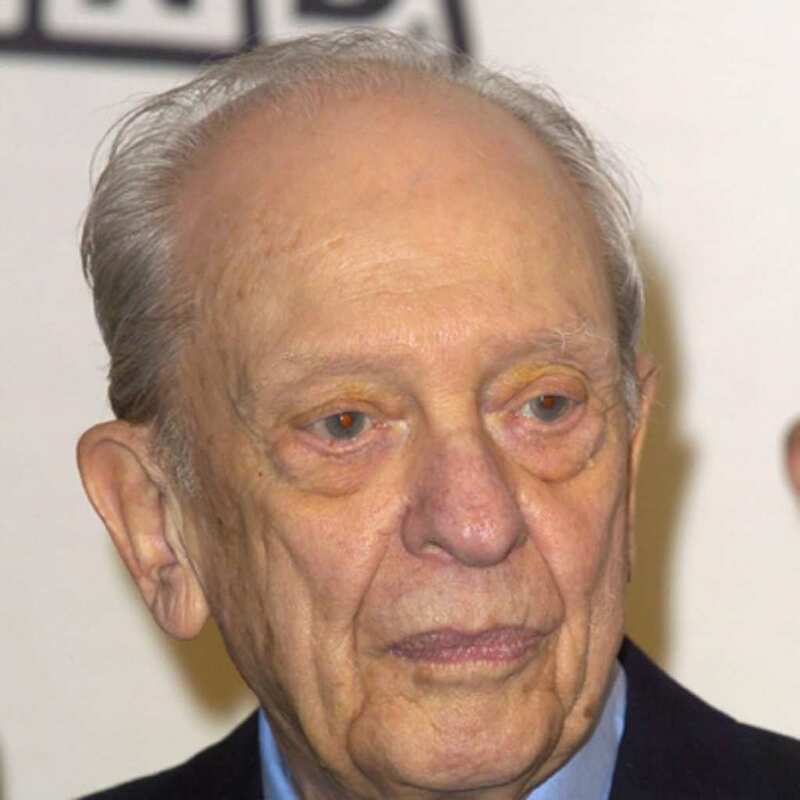 The Andy Griffith Show’s creators originally thought that they would make Andy the funny comic relief, but they quickly realized that Andy would best be utilized as the character who set up all of the jokes, or the “setup man,” while Don Knotts’s character would provide the best comic relief as the “funny man” of the show. And it is great that they did that, as now we have an amazing show to watch. 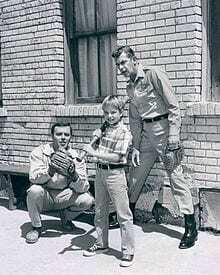 There were a few episodes which showed Andy Griffith with a cast on his hand. He said that he broke his hand while he was fighting crime in Mayberry. Well, the truth is that Griffith really did break his hand, but not fighting crime. In a fit of rage, Andy actually punched a hole in the wall of one of the set pieces, thus shattering his hand. That is definitely some karma on a short temper. When The Andy Griffith Show was cancelled in 1968, American consumers wanted more. So, the studios created a spinoff show called Mayberry R.F.D. However, despite having the vast majority of the original cast members, the show did not include Andy Griffith. This was perhaps the primary reason that the show ended up getting cancelled after just three seasons. Andy Griffith went on to have quite the illustrious career after The Andy Griffith Show. He primarily played roles in movies such as Roots: The Next Generations as well as in Centennial and Hearts of the West. Andy also had a starring role in the TV show Matlock. He was even awarded the Presidential Medal of Freedom from Former President George W. Bush in 2005. 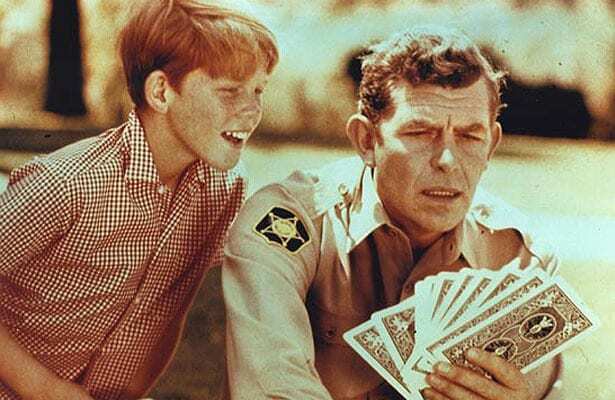 Many people forget that Ron Howard actually got his start in acting at the age of six playing Opie on The Andy Griffith Show. After his acting debut on that show, he went on to reprise the role of Richie Cunningham on the show Happy Days. Howard has two stars on the Hollywood Walk of Fame and was inducted into the Television Hall of Fame back in 2013. But perhaps most importantly, he has an asteroid named after him. 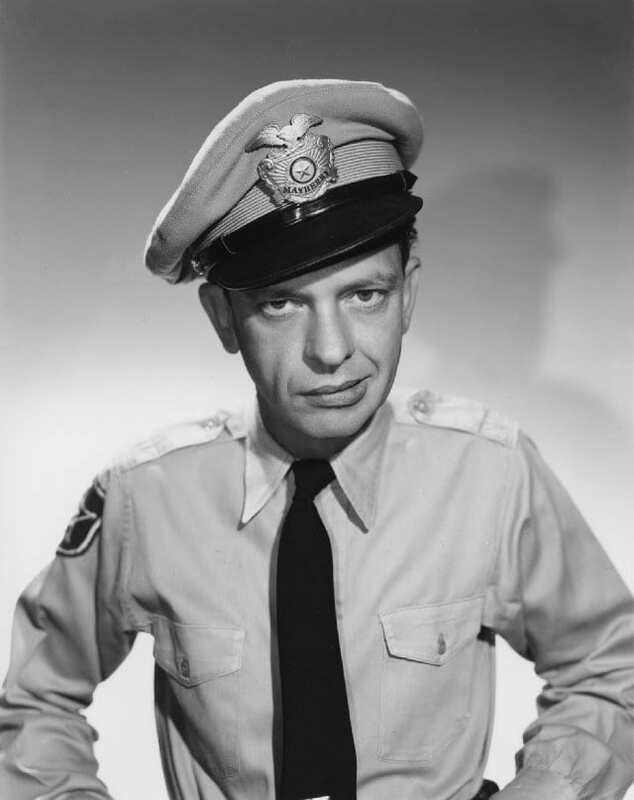 Five time Emmy award winner Don Knotts is best known for reprising the role of funny man Barney Fife on The Andy Griffith Show. However, he also reprised many other roles after the show, including on Three’s Company, and has appeared in a whole wealth of popular TV shows throughout the years including Desperate Housewives as well as That 70’s Show. He also has a star on the Hollywood Walk of Fame. 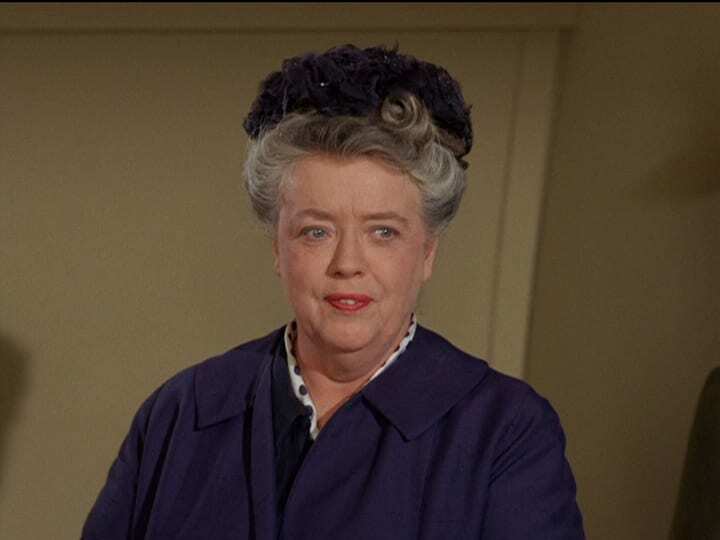 The woman who played Aunt Bee from The Andy Griffith Show, Frances Bavier, had quite the illustrious career even before she got famous on television. She was actually a very famous broadway actress, and even played a few movie roles, including in the hit film The Day the Earth Stood Still. She ended up winning an Emmy for Outstanding Performance by an Actress in a Supporting Role. 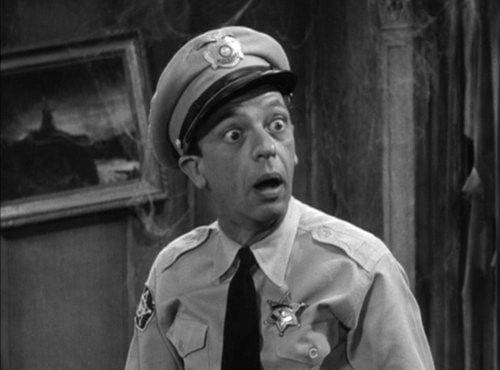 Did you know that Barney Fife has a middle name? Barney seemed to know that he had one, but could never seem to pick the right one. In various episodes he says that his middle name is Oliver, and in other episodes he would say that his middle name is Milton. It turns out the show’s writers were never able to agree on a middle name for the character, and it became a running gag in the show. 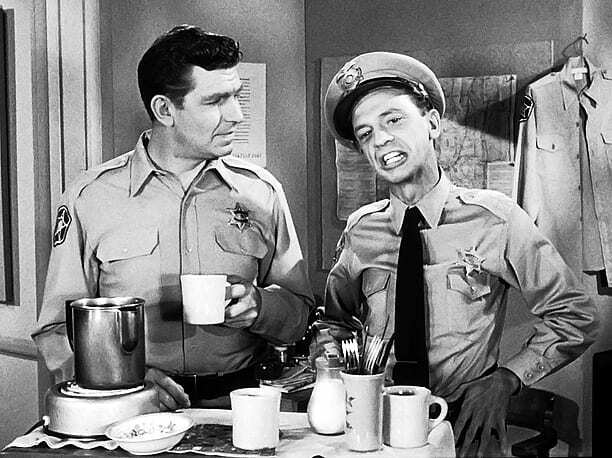 When the show first aired, Barney Fife and Andy were written to be cousins with each other. However, the writers eventually decided that it would be better for the show if the two characters were just friends and had no familial relations. In all honesty, it would have been a little suspicious had both the police officers been from the same family. It would seem to be quite a nepotistic (and possibly corrupt) police department. When Former United States President Barack Obama was unveiling his healthcare and medicare reform bills, he tapped one of the nation’s all time favorite actors to push for people to sign on to the program. 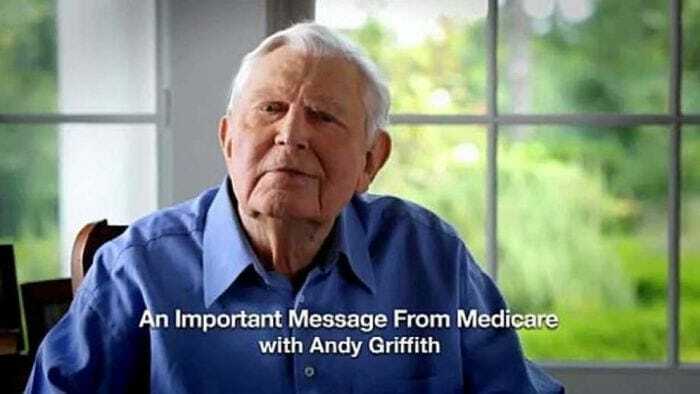 Thats right, the Obama administration was actually able to get an aged Andy Griffith to go on television in a commercial talking about the benefits of the Affordable Care Act. It turns out the ad cost nearly $700,000 in taxpayer money to produce. 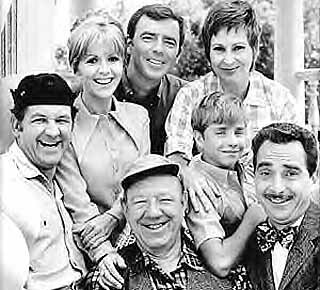 Helen Crump was the school teacher in Mayberry, North Carolina, but she was not always supposed to be in the show. She was originally only written to be a character who appears once and never again. 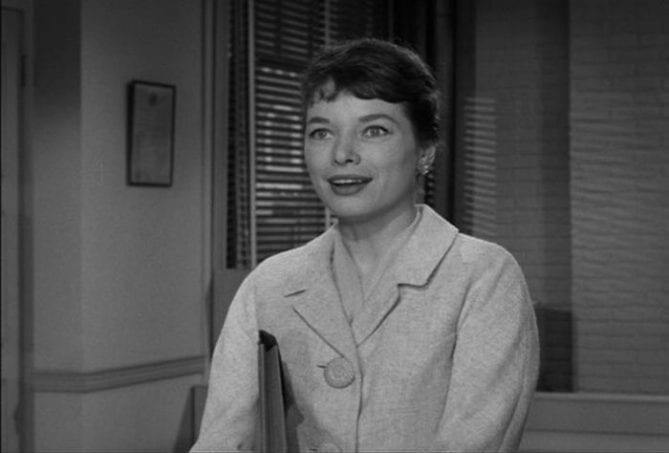 However, the producers really enjoyed how actress Aneta Corsaut and Andy Griffith acted when they were sharing the screen, and decided to give her a recurring role in the series. We always see the barber Floyd cutting hair, but we always thought that something looked a bit off about him. It turns out that the actor who played Floyd suffered from a stroke, and was therefore unable to use his left hand. Whenever we see him cutting hair, he is usually using his right hand, and whenever we see him standing, he is actually just leaning up against something. 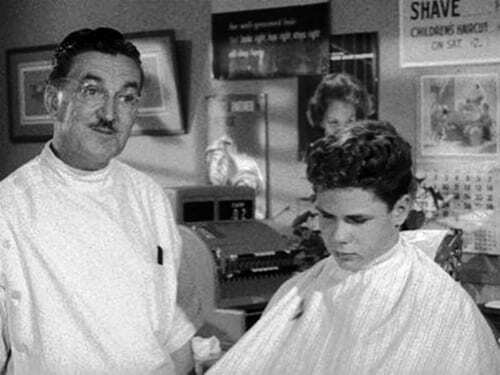 Any time someone goes into the Mulberry barber shop, it is always the same day. What do we mean? If you look closely enough at the paraphernalia hanging up on the wall of the barber shop, you will see that there is a wall calendar, and the calendar always says that it is February. Does this mean that the entire show takes place during the month of one February in the early 1960s? Or that no one bothered to flip the thing? Andy and Barney had a very fun relationship on The Andy Griffith Show, but it was always known that Barney was a bit, well, slower than Andy. In fact, Andy always told Barney that he should not have more than one bullet in his gun at any one time. Fans of the show felt so bad for Barney that thousands of people would mail Barney a single bullet so that he would have enough. 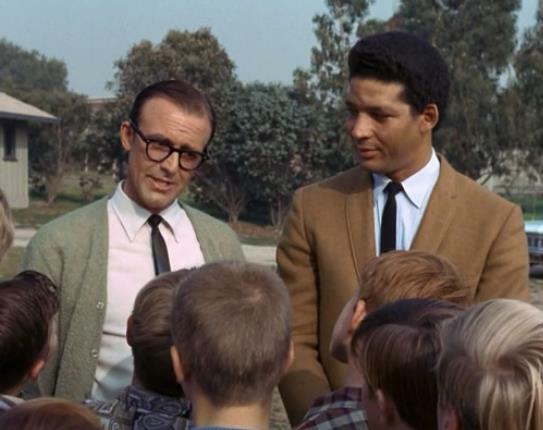 In the 1960s, there were not a lot of actors who were not white, Anglo-Saxon, and Protestant represented. Yet by the end of the decade, this began to change little by little. In fact, while it was very taboo at the time to have anyone of African-American descent on a television show, The Andy Griffith Show did have a black cast member with a speaking role in an episode. The actor’s name was Rockne Tarkington, and he played the role of Opie’s football coach. And Griffith’s real life wife, Barbara Bray Edwards, could be seen in the backgrounds of many of the episodes of The Andy Griffith Show. This is because she did not completely trust her husband from keeping away from hanky panky with the other actresses. This is something which was very commonplace in Hollywood and amongst actor at the time. Barbara just wanted to make sure that her Andy was being loyal to her. 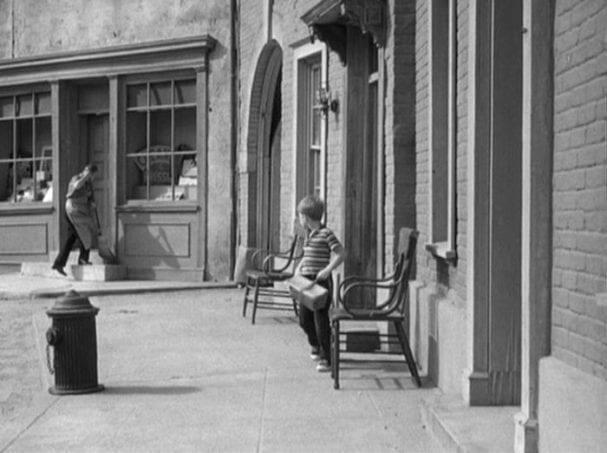 Many people watching the Andy Griffith Show realized that the set of the show looked very familiar to them, but they just could not put their finger on it. Well, as it turns out, the show was filmed at Desilu Studios in Culver City, California. Why is this important, you may ask? Well, it just so happens that this was the same studio and the same set used by the production company for the hit movie Gone with the Wind. Mt. Airy, North Carolina is the hometown of Andy Griffith, and they hold parades in honor of the show on a semi-regular basis. 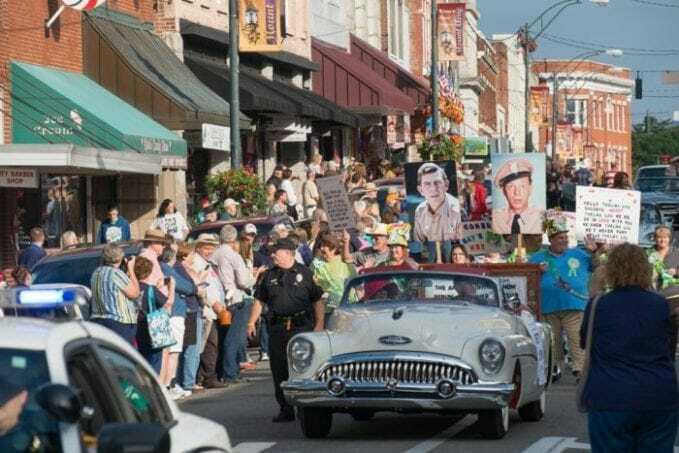 The town is also home to the Andy Griffith Museum, a place which also has all of the cars from the TV show, as well as various other souvenirs and show memorabilia. Located an hours drive from Greensboro, this pilgrimage is a must for any die hard fan. 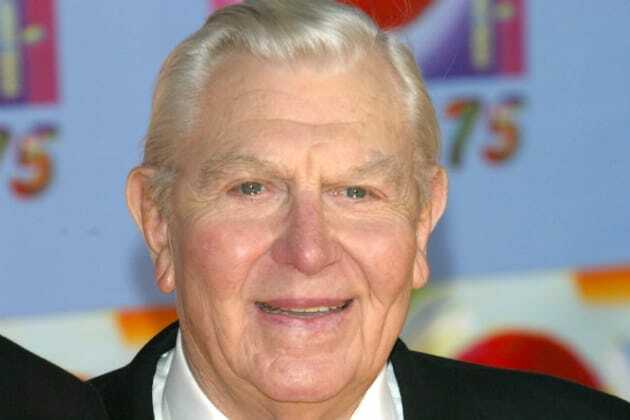 Andy Griffith actually ended up divorcing his wife Barbara while he was filming the Andy Griffith Show. And we believe we know why. There were plenty of rumors going on that Andy was having relations with Aneta Corsaut – the woman who played schoolteacher Helen Crump on the show. The crazy relationship between the two was actually written into the show, something which definitely did not make Barbara happy. 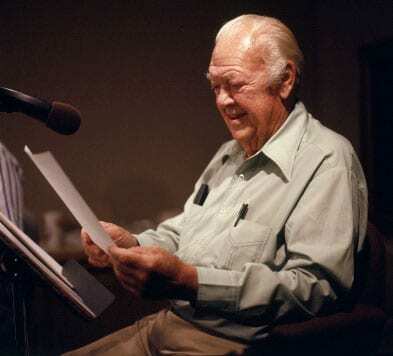 Hal Smith played the role of Otis Campbell on The Andy Griffith Show for years. While this is how we know his face, the vast majority of us are probably more familiar with his voice. He voiced various characters on cartoon favorites such as Loony Toons, Yogi the Bear, Quick Draw Mcgraw, Pink Panther, and even The Flintstones. Sadly, Hal passed away from a heart attack while listening to a radio drama in 1994.